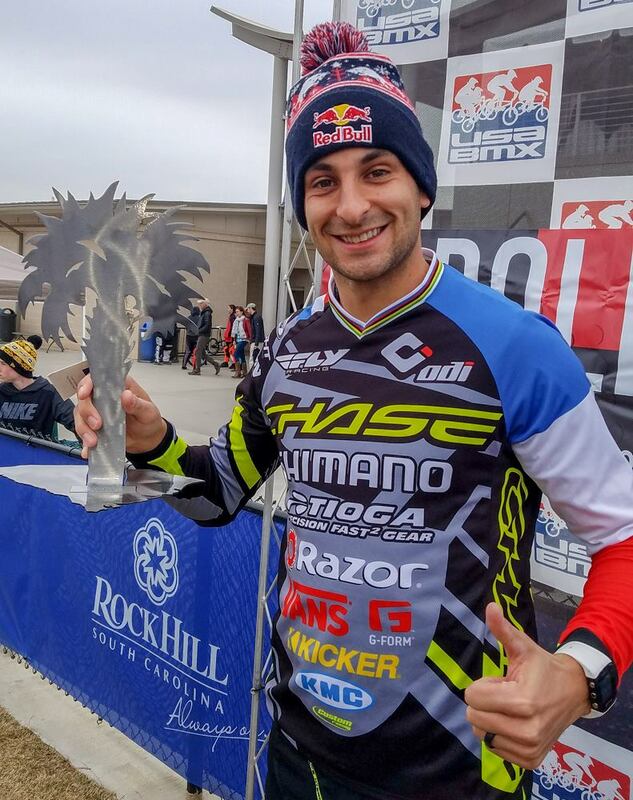 This past weekend was stop #4 for the USA BMCX 2018 tour and Joris Daudet has dominated this season so far with 5 out of 8 wins on the tour! On Friday Night, Joris added win #5 as he battled it out with current World Champion Corben Sharrah on the track he won that title at. This time, Joris would be victorious. 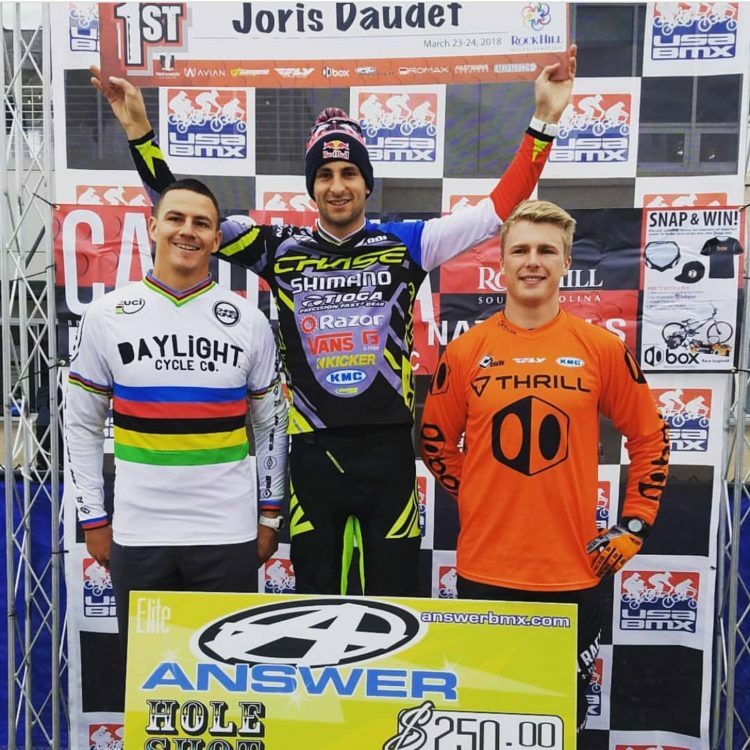 On Saturday, Joris was back on track, looking for win #6 of the season, but came up just a few feet short, as he would finish 2nd overall in the main event. 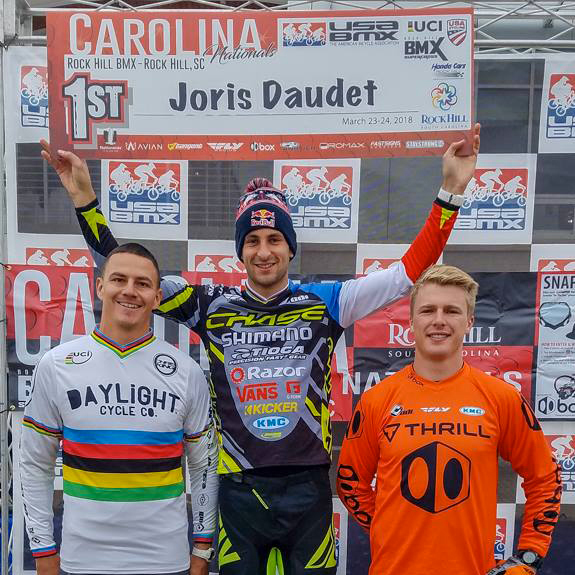 Joris looks to be on top form, as he heads off to the first round of the UCI BMX SX World Cup tour next week in Paris. Joris looks to amaze his home country next week at the World Cup. 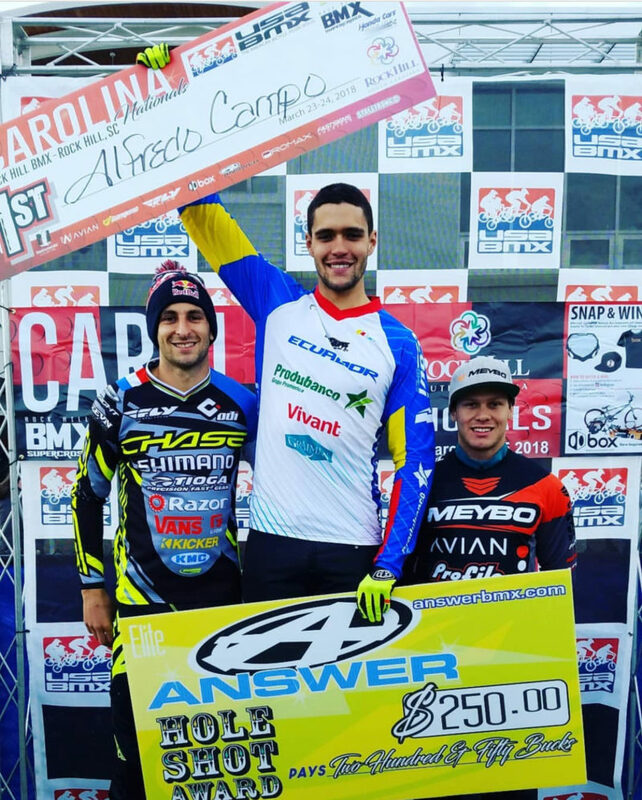 Tune in BMXlive.tv next weekend to watch.